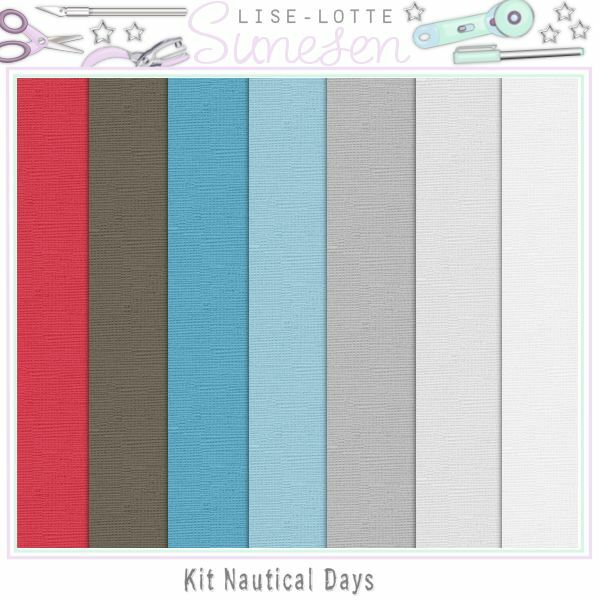 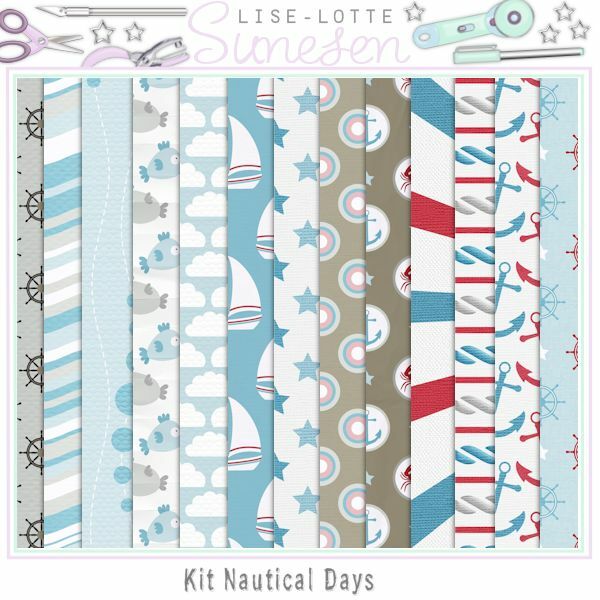 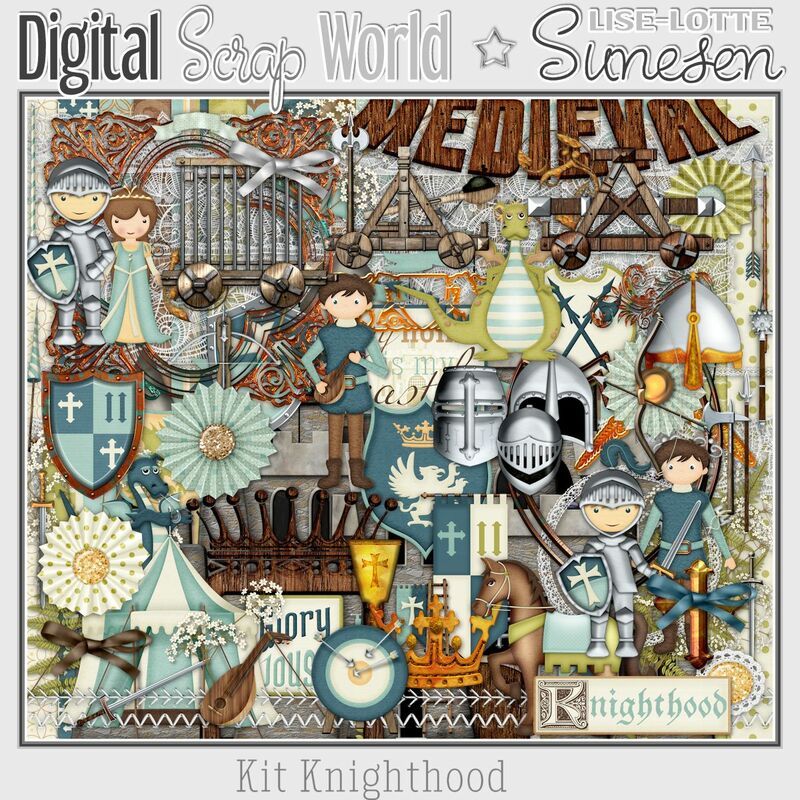 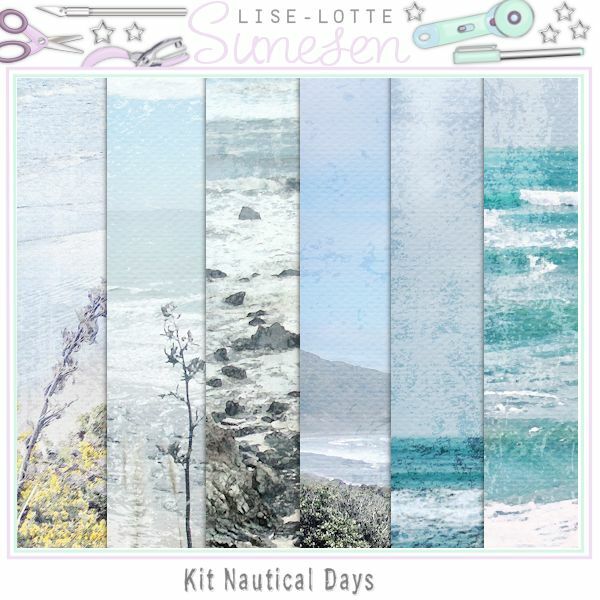 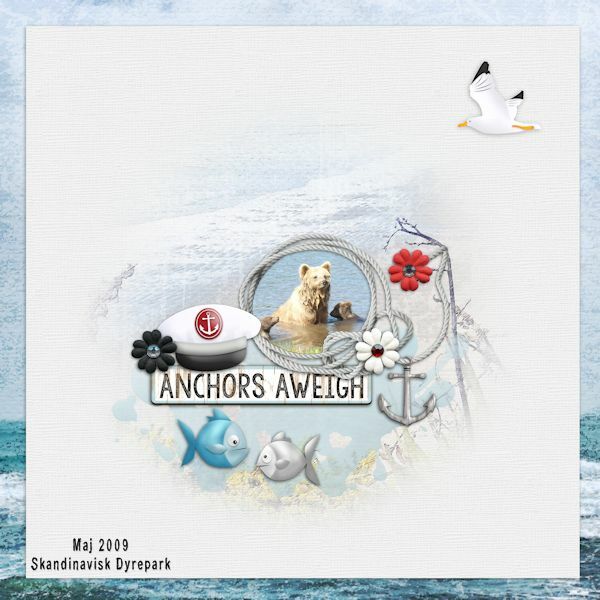 Let's go on a sea trip together with my new kit "Nautical Days". 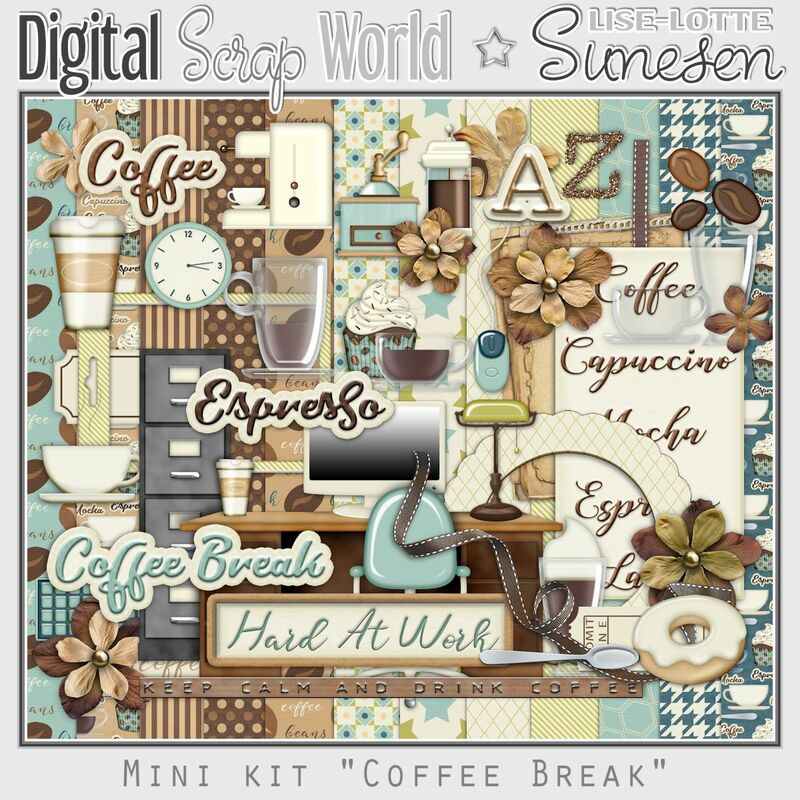 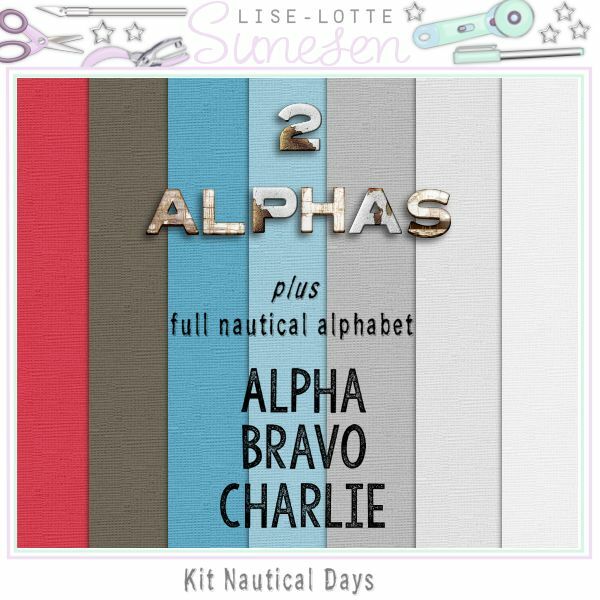 In the kit you find 19 pattern papers (including 6 scenic papers), 7 solid papers, 2 full alphas (a-z and 0-9), 1 full nautical alpha (alpha, bravo, charlie etc.) 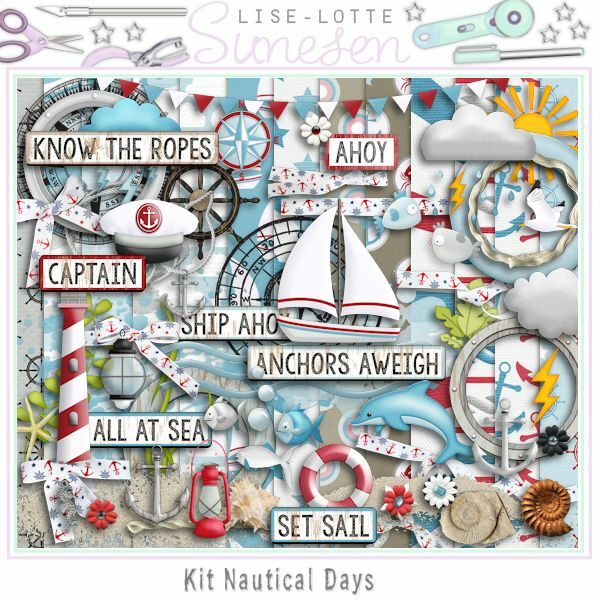 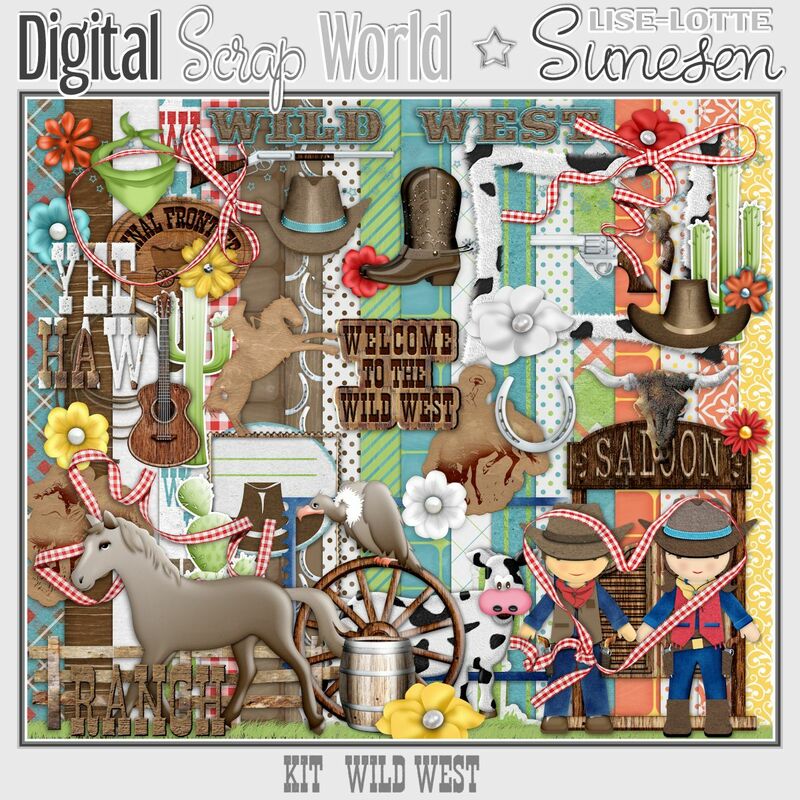 and 77 embellishments: 2 anchors, 1 (flag) banner, 3 clouds, 1 compass, 1 dolphin, 5 fish, 5 flowers, 2 fossils, 1 frame cluster (/the cluster has a shadow applied), 1 (captain) hat, 2 lanterns, 1 lifesaver, 1 light house, 2 portholes, 8 ribbons (and bows), 3 ropes, 1 rope with an anchor, 2 round frames, 1 round frame cluster, 1 sail boat, 2 (clusters of) sand, 1 seagull, 1 seahorse charm, 1 sea star, 2 shells, 2 stamps, 1 sun, 1 waterdrops, 3 water plants, 3 water splashes, 1 wave, 1 wheel, 8 words (in 2 versions).